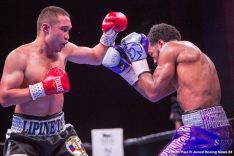 By Allan Fox: Former IBF light welterweight champion Sergey Lipinets (15-1, 11 KOs) wore down and stopped former two division world champion Lamont Peterson (35-5-1, 17 KOs) in the 10th round on Sunday on Premier Boxing Champions at the MGM National Harbor Resort & Casino in Oxon Hill, Maryland. 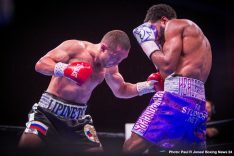 Lipinets hurt Peterson, 35, in the eighth round with a big right hand. Peterson barely made it out of the round. 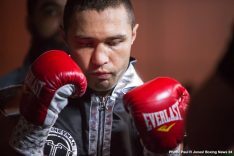 As badly hurt as Peterson was, it was unlikely that he was going to be able to recover in between rounds. 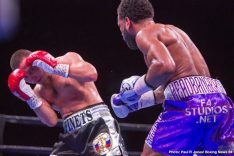 Two rounds later the 10th round, Lipinets continued to tee off on the hurt Peterson until his corner threw in the towel to have the fight stoppage. 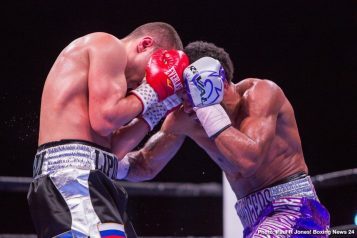 The official time of the stoppage was at 2:59 of round ten. “I’m always going to support this area, but I’m sure it’s time for me to hang it up. I couldn’t go out in a better way here at home. 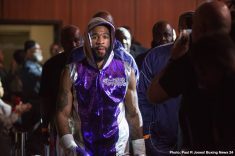 This will be the last time you see me in the ring,” said Peterson in announcing his retirement. After the fight, Peterson announced his retirement from boxing. 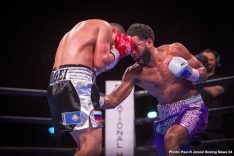 Peterson had lost his previous fight to IBF welterweight champion Errol Spence Jr. by a seventh round knockout last year in January. 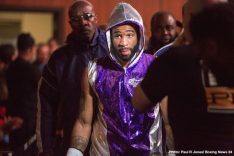 Peterson had been out of action for the last 14 months before returning to the ring to fight the hard hitting former IBF 140 lb champion Lipinets. This was a bad opponent for Peterson to be fighting after a long layoff like the one he had. Peterson has been a pro since 2004. 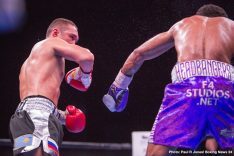 Perhaps the high point for Peterson’s career came in 2011 when he beat IBF/WBA light welterweight champion Amir Khan by a 12 round split decision. 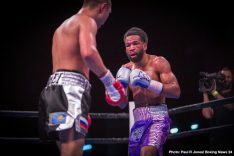 Junior middleweight Jamontay Clark (14-1, 7 KOs) took care of business in beating Vernon Brown (10-1-1, 7 KOs) by a 10 round unanimous decision. The scores were 96-93, 96-93, and 95-94. Boxing News 24 scored it for Clark by the score 96-93. 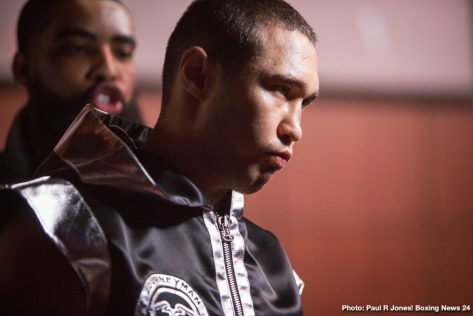 Brown dropped Clark in the third round. However, Brown was unable to land enough shots on Clark to get the decision. Clark basically outworked Brown. 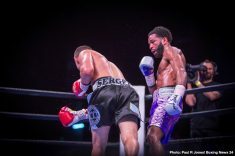 Light welterweight Anthony Peterson (37-1-1, 24 KOs) and former IBF super featherweight champion Argenis Mendez (25-5-2, 12 KOs) fought to a 10 round draw. 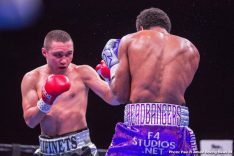 The judges scored it 96-94 Peterson, 96-94 Mendez, and 95-95. Boxing News 24 had it even at 95-95. Neither fighter did enough to get the victory. Peterson controlled the first half, whereas Mendez rallied to get the better of the action in the second half. This was a fight that Peterson was winning going into the second half of the contest. 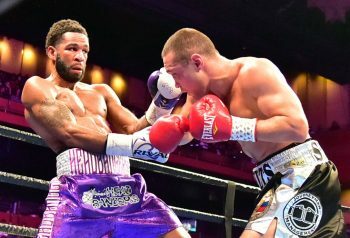 But when Mendez started turning up the heat in the later rounds, it resulted in Peterson, 34, getting on his bike and moving a lot instead of standing and fighting. 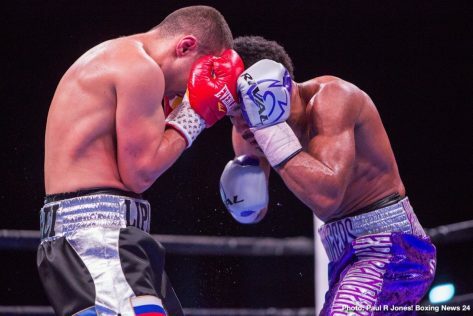 The judges clearly gave Mendez a lot of crucial rounds down the stretch, and this enabled him to salvage a draw. 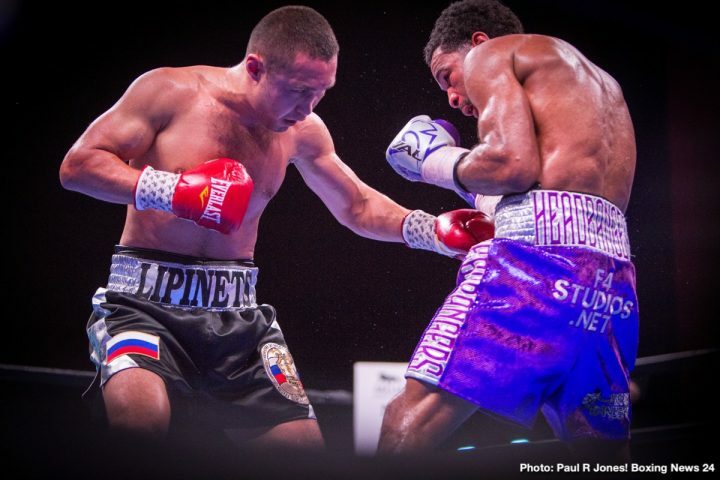 Peterson is a decent fighter, but he lacked the amateur pedigree that Mendez possessed. Mendez was a 2004 Olympian. 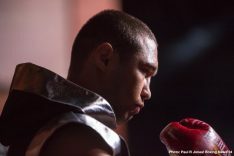 As an amateur, Mendez was quite good. His problems as a pro have come from him not throwing enough shots, which is why he didn’t win tonight. Mendez wasn’t letting his hands go enough. 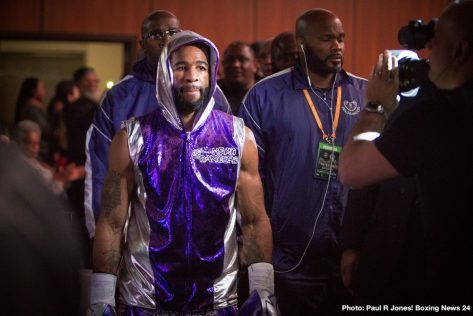 He had the same problem in his losses to Luke Campbell, Robert Easter Jr. and Rances Barthelemy. 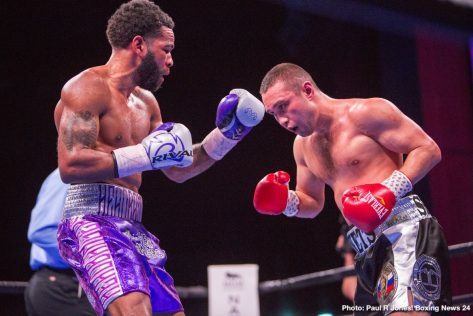 Middleweight Aaron Coley (16-2-1, 7 KOs) defeated Brandon Quarles (21-5-1, 10 KOs) by an eight round split decision. The scores were 77-75, 79-73 for Coley, and 78-74 for Quarles. 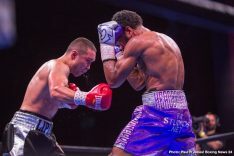 Super middleweight Lorenzo Simpson (3-0, 2 KOs) defeated Jaime Meza by a four round decision. The scores were 40-36, 40-35, and 40-35. 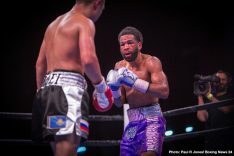 Undefeated super featherweight Cobia Breedy (13-0, 4 KOs) defeated journeyman Fernando Fuentes (14-8-1, 4 KOs) by a six round technical decision. The scores were 59-55, 58-56, and 58-56. 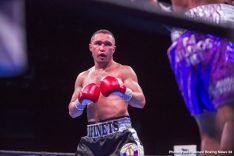 The fight was stopped due to Fuentes being injured from a clash of heads.